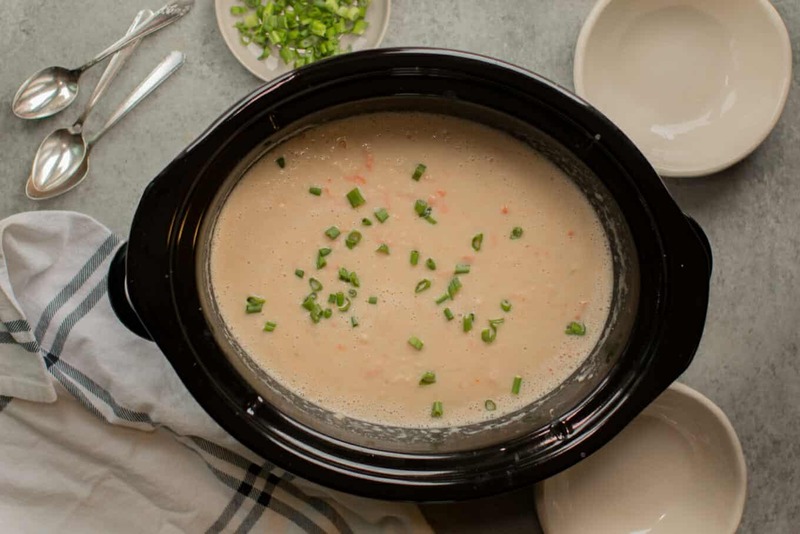 This vintage recipe for Slow Cooker Cream of Navy Bean Soup is silky smooth and flavorful! 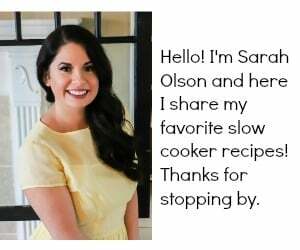 I’m excited to bring back Vintage Slow Cooker Recipe of the month. 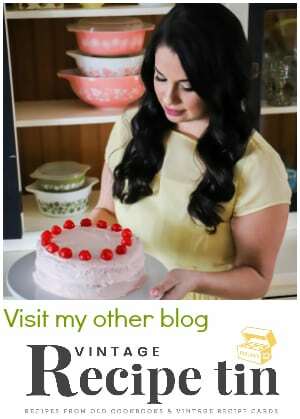 If this is your first time here for the vintage recipe of the month, you’ll be seeing a vintage recipe I’ve found to try in my slow cooker. 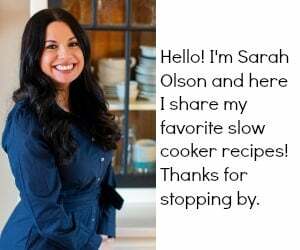 I don’t use that older crock pot above, I use my favorite newer 6-quart crock pot. Though I have had many people tell me that the above model works fine still. My lid broke on my vintage crock pot, sadly. 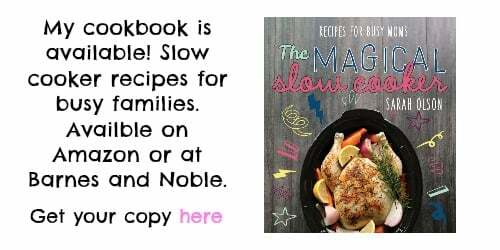 This month’s recipe for Cream of Navy Bean Soup, I found in this book below called The Modern Family Cookbook. I was at a used book store and the clerk was just getting this book ready for the shelf, and I snagged it up. Looking though it again today, I think I will be trying some other recipes from it as well. I start with chicken broth, leeks, onion, bay leaves and presoaked navy beans. 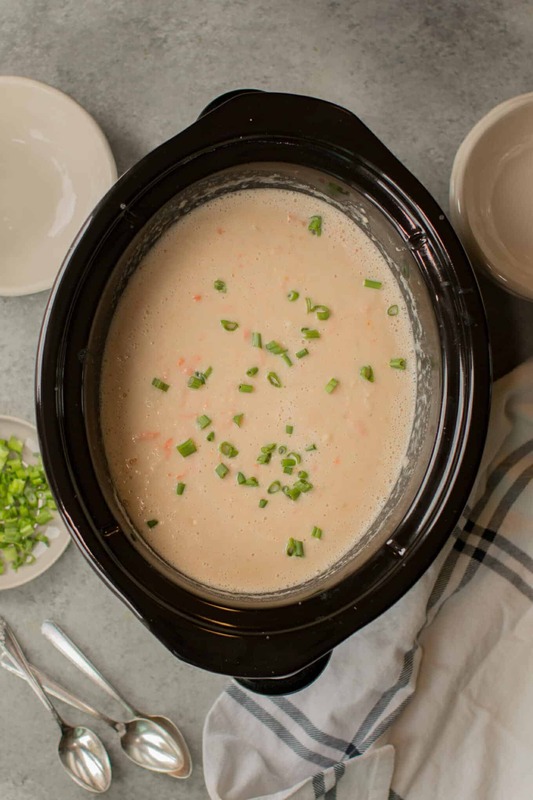 This gets cooked on low for 10 hours, yes that seems like a lot of time, but that extra time helps to make this soup extra creamy and smooth. The color changes a bit after cooking, but don’t fret. 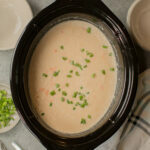 A cup of heavy cream will get the soup to a beautiful cream color. I blend the soup up with 1 cup of heavy cream and then add 1 grated carrot. I don’t buy shredded carrots in a bag that you can find at the store. I grate a carrot on a cheese grater and then add to the finished soup. Surprisingly, the original recipe calls for the carrot to be added at the end, so it is not cooked. The grated carrot adds a little crunch and sweetness to the soup. SO good. Do you notice anything different about the recipe below? I have a new recipe box that includes metric measurements if you need them AND a nutrition label! I’ve had so many viewers ask for the nutrition. Just so you know the nutrition information is an estimate, if you are on a strict diet for your heath, please double-check the information on your own. I hope you enjoy these new features, it’s a little more work on my end, but I really like to see myself what the nutrition facts are, even if I’m not dieting. Pureed navy beans with cream and shredded carrots. Soak the beans overnight, do this by covering the beans with plenty of water in a large bowl and let sit overnight, on the counter is fine. In the morning drain the water off the beans and start with the following recipe. Add the presoaked beans, onion, leeks, celery, garlic, bay leaves and chicken broth to the slow cooker. Stir. When the cooking time is done, remove bay leaves. Add the heavy cream and use an immersion blender to blend up the soup. OR add the soup and cream to a blender in batches and puree. Nutrition facts are approximate. If you require a special diet, please use your own calculations. 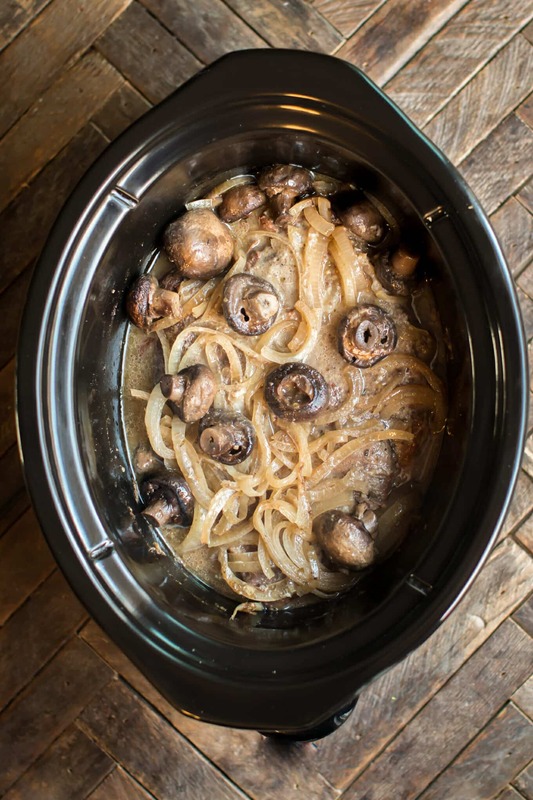 I used my 6-quart Crock-Pot for this recipe, any slow cooker 5-quart or larger will fit this recipe.